Song lyricist Sonoda Ryoji (33) has been arrested for use of “kakuseizai,” or stimulant drugs, the Azabu department of the Tokyo Metropolitan Police announced today. Sonoda was recently detained and formally arrested yesterday after urine tests were positive. He is said to have admitted to using the drugs. 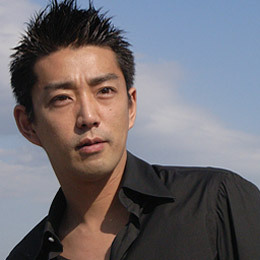 Though he has his own singing career since 1995, he is best known as a lyricist of such hits as SMAP’s “Kimi wo Suki ni Natte” and BoA’s “No.1” He has also penned hits for Misia and Korean vocal group Tohoshinki. Though no connections have been mentioned, the arrest is more unwelcome news for SMAP following the arrest last week of member Kusanagi Tsuyoshi (34). Meanwhile, last night’s edition of the weekly Fuji TV variety show “SMAPxSMAP” saw a noticeable drop in its audience rating. TV viewers are well used to how the networks operate and knew not to expect any mention of last week’s arrest. predictably, the show was heavily edited to include past segments and totally remove any signs of Kusanagi. It drew an audience rating of 13.7% in the Kanto region, well below its 16% average for the last four weeks.